The first reason is hunting a falcon with a rifle - exposing them to a non fatal injury. The pellets that are not removed and remain inside the falcon can lead to lead poisoning. The second reason that can lead to lead poisoning is using birds or rodents to feed the falcon that still contained the pellets from the rifle that was used to hunt them. Taking history of the falcon, enquiring about the food presented and how it was hunted in addition to observing the symptoms being shown by the falcon. Using x-ray investigation to see if any bullets or pellets – usually found in the digestive system or in the muscles. Laboratory investigation by having blood test and measuring the amount of lead in the blood. 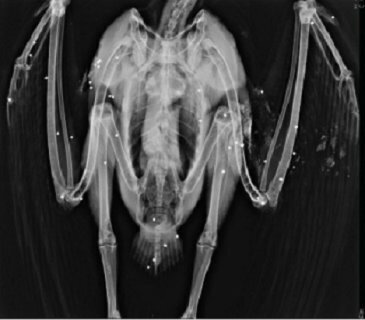 In many situations the pellets can be removed by surgical intervention if surgery will not endanger the life of the falcon. In case the pellet is in the stomach it can be removed by stomach lavage. The extraction of the pellets can be removed through the faeces by giving the falcon plenty of fibre or paraffin oil. In general giving nutritional fluids with glucose and vitamins will help with the recovery of the affected falcon. 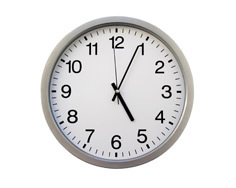 In addition to that there is plenty lead reducing medicine available in the veterinary hospital. 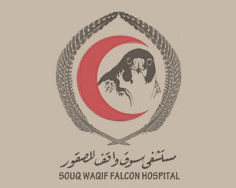 A specialized falcon hospital established in the traditional Souq waqif, Doha, Qatar in 2008.